From KBShimmer: "Celebrate the New Year and Pantone's 2015 Color of the Year with KBShimmer! "Men are from Mars-ala" is an earty, red-brown shade that will make a fresh new addition to any neutral nail palette. 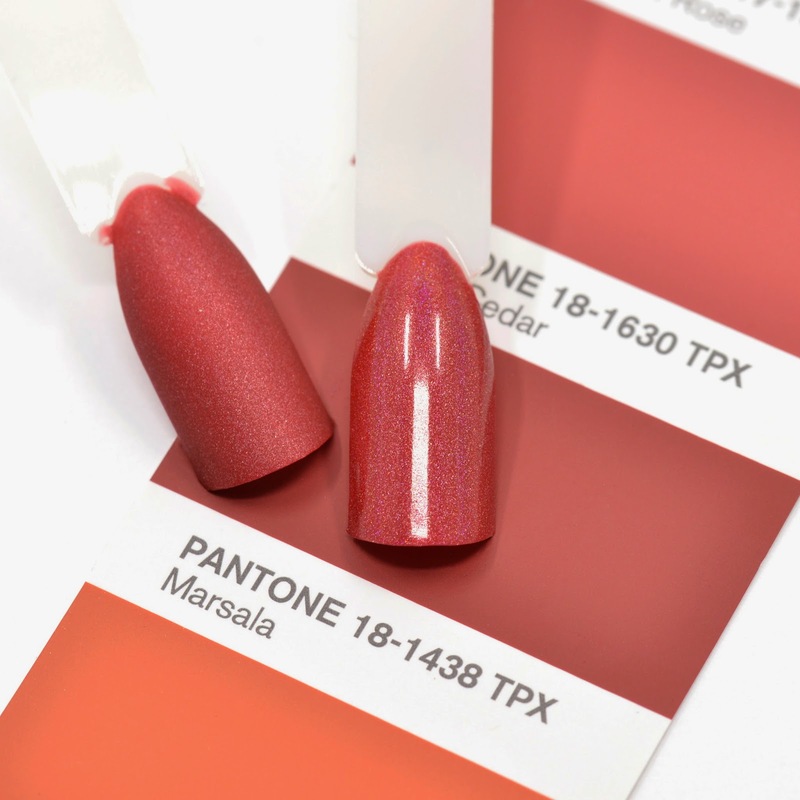 Worn outdoors or in bright light, Men are from Mars-ala features a linear holographic and when indoors, this shade is rich and warm - just like a glass of Marsala wine should be! Men are from Mars-ala's luxurious formula applies like a dream and dries to a shiny, holographic finish. Wear it with a matte top coat for an ultra-modern look or a high-shine one for something a little more classic. Just make sure you don't get caught without this year's Color of the Year!"